Social networks are not just about bringing people closer, but also about connecting people and brands around the world. Today, companies are trying to use social media to interact with their customers on the lowest possible budgets. Also, social media allows them to get to know their audience better and facilitate engagement. By using the right social media inbox, they are closer to these achievements. Social media networks have created an opportunity to send out personalized ads that will target your audiences according to their interests, passions, and hobbies. However, they have created another type of advertisement that goes beyond pure product promotion and persuading customers to purchase. 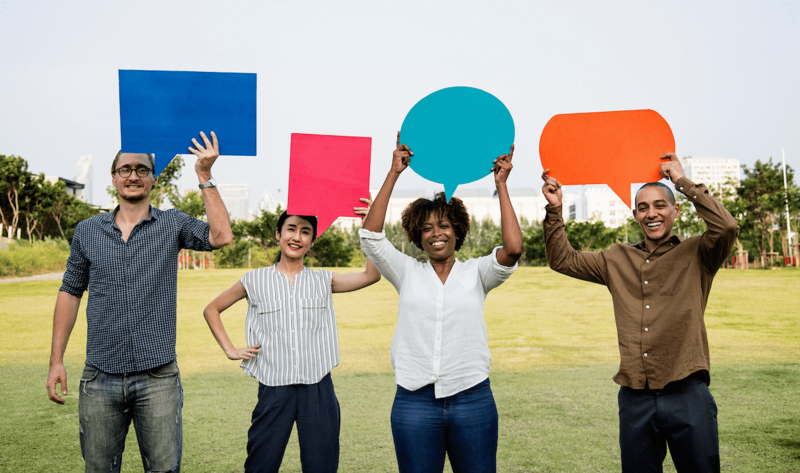 Direct communication and engagement help businesses build and strengthen relationships by getting feedback from their customers. They can use the suggestions and ideas they get from it to improve their communication strategies. There has been a dramatic change in the brand-consumer relationship. Famous brands and large corporations have lost the power and control which is now in the hands of the consumers. Social media is now the link that binds the two. Many top level executives are now engaging directly with their customers. Companies can map and plan out their marketing strategies through social media conversations. It allows them to find out what their consumers feel. They can engage in real-time communication and ask their consumers to share their views on their line of products. Consumers can suggest ideas for product improvement and even provide some user-generated content. For example, a photo of a consumer using their product, which the brand can use in their marketing campaigns. All this makes the consumers feel involved in the company and their production and marketing process. When they provide input and are heard, they tend to trust the brand more. There lies the true power of a unified social media inbox. There is so much communication happening on different social networks and for different purposes. Using a centralized messaging system will take away the headaches of a dispersed social media management process. Want to know how you can engage your audience with social media inbox? We have some answers. The role that social media plays in communication is pertinent, and more and more businesses realize that. Not many people turn to their phones anymore to call customer support or a small business. Fewer people rely on email to do the same. Nowadays, almost everyone has a profile on one or more social media platforms. They can turn to Instagram, Facebook, Twitter, and LinkedIn to get the information they want. As a business, it is crucial to develop more than one way your customers can contact you via social media. And once they reach you, you must have a way to respond to them as quickly as possible. That’s where the true value of social media inbox lies. There are many ways you can engage your customers. For example, you can post recent industry news and ask for opinions or share a new piece of content. Whatever you choose to do, you are basically opening up to responses from your audience. On the one hand, it allows you to get new insights on your potential customers, current customers, and followers. On the other hand, it’s also an opportunity for starting a quality conversation. It’s impossible to reply to every comment you get on social media, but you can focus on the most engaging and pressing ones. The days when customer engagement was a one-way street are long gone. You can establish a healthy rapport through social media by maintaining communication. Offer special promotions and deals to your customers directly via social media messaging. Your engagement strategy should be a bit gamified and interactive, but not all the time. You can engage your customers the old-fashioned way by offering them membership clubs, instant discounts and coupons, or free shipping. For example, send a message to your followers to make them a special offer for a limited time. By giving out these exclusive benefits, you’ll make them feel special. It could even help you increase your following, eventually. In your social media inbox, you can find all the conversations you had with your customers across all social media networks that you use. That will make the whole process a lot more organized and help you reach out to your most active followers. How do we start a conversation? You can do it by asking a question. Now, it would be weird if you ask your customer a sales question that obviously wants to get them to buy. Consumers don’t like to get persuaded, and can even unfollow you because of that. Try to engage in a simple, carefree conversation, with open-ended questions – ask them about their opinions on specific topics. They like to think things through, hear from other thinkers, and let other people know what they think. So, ask questions that invite others to share their opinion on something. Also, join a group or community and simply ask a question. Is it provocative, timely, or relevant enough? If it is, you’ll start a lively conversation that you can easily manage with a social media inbox. Creating your own community can have many benefits. When you create it, you need to keep it active, moderate it, and post news and updates from your niche. That way, you’ll start drawing in people who also want to connect. You can create a page or a group on LinkedIn, and start developing connections with social media users. They will, in turn, become potential qualified leads. Create a community for your customers and followers where they’re sure they can engage with you as they please. This will instill a sense of community in them and make them feel as they’re a part of your business’ processes. eClincher is a top-of-the-line social media management tool designed to keep all your conversations in one place. Furthermore, it helps you auto post, track, analyze, and optimize your social media networks. Their Social Inbox in an excellent extension to your social engagement strategies. The tool lets you manage all your social media interactions and engagement in one place. We are talking about comments, likes, mentions, shares, DMs, tweets, new followers, and even Facebook Ad and YouTube comments. The platform also comes with great social monitoring and listening features! These allow you to start new conversations, interact with followers, and monitor all your mentions. Find out when your audience is most active on social media. That way, you’ll know when is the right time to start an interesting conversation as well as to plan your future posts. To summarize, social media has changed the way businesses and customers interact. It all comes down to testing, implementing, and checking how your followers better engage. Try eClincher, and you’ll realize how easy it is to communicate with your followers. Unleash the true potential of social media!